As 2018 wraps up, many of us are thinking about what new technologies and marketing strategies we’d like to implement next year, and that’s great, but we should take a moment and consider some things we can do right now to ensure we start 2019 off on the right foot. Two of the most important things you can do to help your site right now are SSL Compliance and Mobility. If you haven’t addressed either of these issues yet, now is the time. Not only do these two factors influence search engine ranking, but they are also critical to your site’s ability to engage with visitors. 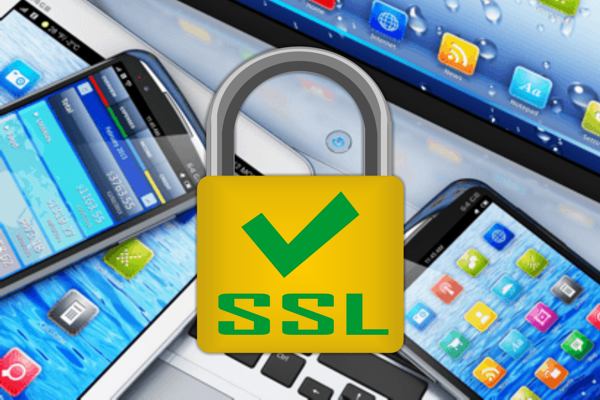 SSL Compliance Earlier this year, most major browsers began issuing warnings to visitors anytime they landed on a non SSL compliant site. These warnings can be detrimental to your traffic, your SEO rankings and worst of all, your brand. Let your visitors know that their security is important and that you value their patronage by securing your site and visitor traffic with an SSL certificate right now. Mobility According to a study published on Statista.com, there are now some 270 million mobile device users in the US which account for nearly 40% of all network traffic. That means there is a very good chance that your site will be viewed on a smart phone. How it renders on a mobile screen could easily be the determining factor about your site and your brand. Ensuring a good user experience for mobile users doesn’t have to mean redesigning your entire site or creating a separate site for mobile layouts. We can help you develop the right strategy for making your site Mobile-friendly. With an SSL compliant, Mobile-friendly site, you’ll be ready for all of the challenges and opportunities that await us in the New Year. As 2018 wraps up, many of us are thinking about what new technologies and marketing strategies we’d like to implement next year, and that’s great, but we should take a moment and consider some things we can do right now to ensure we start 2019 off on the right foot. Two of the most important things you can do to help your site right now are SSL Compliance and Mobility. If you haven’t addressed either of these issues yet, now is the time. Not only do these two factors influence search engine ranking, but they are also critical to your site’s ability to engage with visitors. Earlier this year, most major browsers began issuing warnings to visitors anytime they landed on a non SSL compliant site. These warnings can be detrimental to your traffic, your SEO rankings and worst of all, your brand. Let your visitors know that their security is important and that you value their patronage by securing your site and visitor traffic with an SSL certificate right now. According to a study published on Statista.com, there are now some 270 million mobile device users in the US which account for nearly 40% of all network traffic. That means there is a very good chance that your site will be viewed on a smart phone. How it renders on a mobile screen could easily be the determining factor about your site and your brand. Ensuring a good user experience for mobile users doesn’t have to mean redesigning your entire site or creating a separate site for mobile layouts. We can help you develop the right strategy for making your site Mobile-friendly. With an SSL compliant, Mobile-friendly site, you’ll be ready for all of the challenges and opportunities that await us in the New Year.